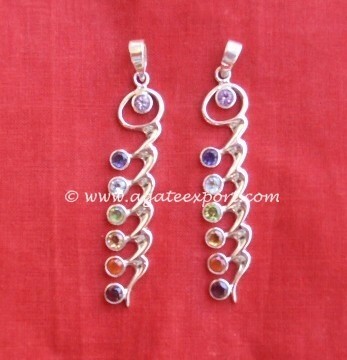 Made of seven gemstones, this chakra silver pendant opens the seven chakras of your body and energizes them. Each faceted chakra stone is aligned in a pendant, corresponding to the order of chakras in the body. Agate Export advises you to go for this amazing pendant for your health and well-being.